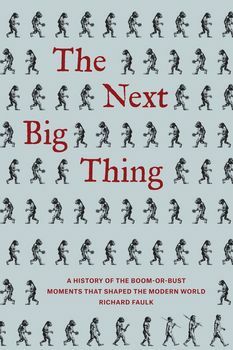 The Next Big Thing searches through 3,000 years of Western culture to find the colourful and key steps (and missteps) that led us to where we are today. Paradigm-shifting events, such as the spread of ethical monotheism and the invention of the printing press stand beside such cultural ephemera as the aborted U.S metric campaign and the misbegotten vogue for smart drinks. Each entry features the historical context of that Next Big Thing as well as an overview of its legacy, including photos, sidebars, trivia, and quotes. We are always hearing about the Next Big Thing. Whether it is a new iPhone or the New World, the freshest and newest inventions, discoveries, and fads loom large in the public mind. The impact that everyone thinks these "next big things" will have is often more important than the actual impact it generates. After all, if it fails, it will be almost immediately forgotten.